You may have read my two previous posts in this blog's "Swaddling" section, which sparked a huge controvery among my readers. My original post was an abridged version of the lead article I wrote for the September 2010 issue of the International Journal of Childbirth Education. After my article appeared, the editor received a letter from Dr. Harvey Karp, author of the popular book The Happiest Baby on the Block and its companion DVD. Not surprisingly, Karp disagreed with many of my conclusions, as swaddling is the first "S" in his "5 S's" approach to calming fussy babies. The journal editor kindly asked me if I would like to respond to Karp's letter, which I did. You can read both Karp's letter and my response on page 26 of the Summer 2011 issue of the International Journal of Childbirth Education. There’s no doubt that babies seem calmer and sleep more when swaddled. But is this a positive or a negative? 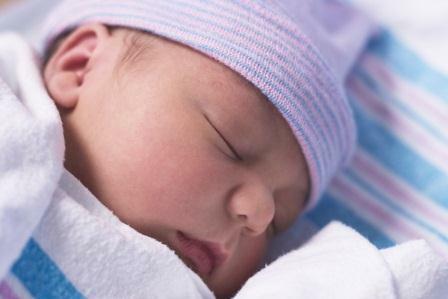 The research provides some surprising answers, starting with the first days after birth. Swaddling delays the first breastfeeding and leads to less effective suckling. In a study of 21 babies after a vaginal birth,3 researchers divided them into two groups. One group was laid skin-to-skin on mother’s body, examined briefly, then returned to skin-to-skin contact for two hours. The other group was shown to the mother, examined, and swaddled with hands free and then returned to mother. The swaddled group showed delayed feeding behaviors, suckled less competently at their first breastfeeding, and established effective breastfeeding later. Severely limiting baby’s movements is stressful, which burns more calories. If there are reasons to be concerned about a newborn’s temperature, a more effective strategy than either swaddling or using an infant warmer is to keep baby on mother’s body, putting blankets over both mother and baby.7,8,9 If the mother can’t provide skin-to-skin contact, the father is an excellent second choice. Evidence is also growing that babies’ hand movements aid them in finding the breast and latching. 14 Swaddling during breastfeeding to restrict babies’ hands may contribute to breastfeeding problems. After reading the research, my own opinion of swaddling has changed. In most cases a mother’s body is her newborn’s best “baby warmer.” When babies get fussy, it may be best to limit swaddling and suggest instead parents consider alternatives, such as skin-to-skin contact and baby carriers. For a more detailed look at this subject, click here to read “Rethinking Swaddling,” my lead article in the September 2010 issue of the International Journal of Childbirth Education. 1Franco, P., et al. Influence of swaddling on sleep and arousal characteristics of healthy infants. Pediatrics 2005;115(5):1307-11. 2Yamauchi, Y., & Yamanouchi, I. Breast-feeding frequency during the first 24 hours after birth in full-term neonates. Pediatrics 1990; 86(2):171-75. 3Moore, E. R., & Anderson, G. C. Randomized controlled trial of very early mother-infant skin-to-skin contact and breastfeeding status. J Midwifery Womens Health 2007; 52(2):116-25. 4Bystrova, K., et al. Skin-to-skin contact may reduce negative consequences of "the stress of being born": a study on temperature in newborn infants, subjected to different ward routines in St. Petersburg.Acta Paediatr 2003; 92(3):320-26. 5Bystrova, K., et al. The effect of Russian Maternity Home routines on breastfeeding and neonatal weight loss with special reference to swaddling. Early Hum Dev 2007; 83(1):29-39. 6Ferber, S. G., et al. Massage therapy by mothers and trained professionals enhances weight gain in preterm infants.Early Hum Dev 2002; 67(1-2):37-45. 7Galligan, M. Proposed guidelines for skin-to-skin treatment of neonatal hypothermia. MCN; Amer J Matern Child Nurs 2006; 31(5):298-304; quiz 305-296. 8Ludington-Hoe, S. M., et al. Safe criteria and procedure for kangaroo care with intubated preterm infants.JOGNN 2003; 32(5):579-588. 9World Health Organization. Integrated management of pregnancy and childbirth: Pregnancy, childbirth, postpartum & newborn care. Geneva, Switzerland: WHO, 2003. 10Yurdakok, K., et al. Swaddling and acute respiratory infections.Amer J Pub Health 1990; 80(7):873-75. 11Sahin, F. et al. Screening for developmental dysplasia of the hip: Results of a 7-year follow-up study. Pediatr Int 2004; 46(2):162-66. 12Ponsonby, A. L., Dwyer, T., Gibbons, L. E., Cochrane, J. A., & Wang, Y. G. (1993). Factors potentiating the risk of sudden infant death syndrome associated with the prone position. New Eng J Med 1993; 329(6):377-82. 13van Gestel, J. P., et al. Risks of ancient practices in modern times. Pediatrics 2002; 110(6): e78. 14Genna, C.W. & Barak, D. Facilitating autonomous infant hand use during breastfeeding.Clin Lact 2010; 1(1):15-20.